Try soaker hoses for your garden! "Have you tried underground soaker hoses? Place the hoses 3-4 inches below the surface, before planting. Stick twigs in the ground over the hoses and plant between the lines. Almost no weeds since the water is underground - no mulch [needed]. Happy plants and a happy gardener." Check out a helpful how-to video here! Sneak Preview to some great gardening links! 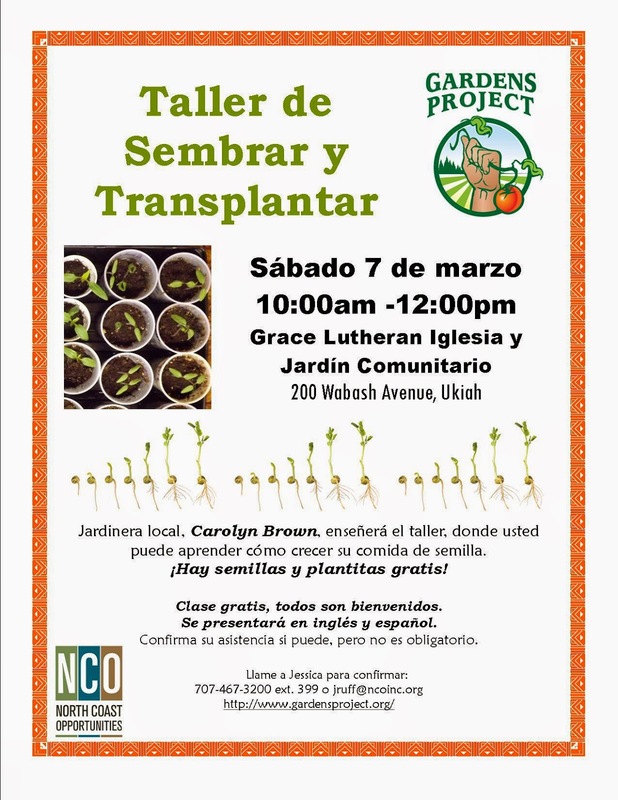 Word on the street is that there is an awesome gardening workshop this Saturday March 7th at the Grace Lutheran Church and Community Garden from 10am-Noon! Free seeds and plant starts! Bundle up for the holidays and cover up your garden rows too! Would you like to enjoy your garden for an extra couple of months? Or boost your winter garden's growth? Row covers are a great way to extend your growing season! Row Covers have many benefits: they protect plants from the frost and wind, block pests and diseases, and regulate soil temperature and moisture. And row covers are easy to construct! Floating row cover material is also known as all-purpose garden material or reemay. This magical material is made of polypropylene and allows air, water, and 85% of sunlight to pass through to plants. 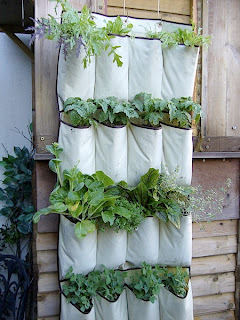 Row covers can be constructed out of hoops or you can lay the reemay right on top of the plants. Metal hoops for row covers can be purchased at garden supply stores or you can scavenge around your house for recycled materials to use. use wooden stakes, attach nail, place hose right over nail. Milk jugs or other plastic containers filled with water are a good way to hold down the edges of the reemay, you can also use rocks or bury the edges in the soil. Once you have your row covers installed, don't forget to monitor your plants growth underneath and remember to check for pests. A good place to purchase reemay and other row cover supplies in the Ukiah area is DripWorks Irrigation in Willits. 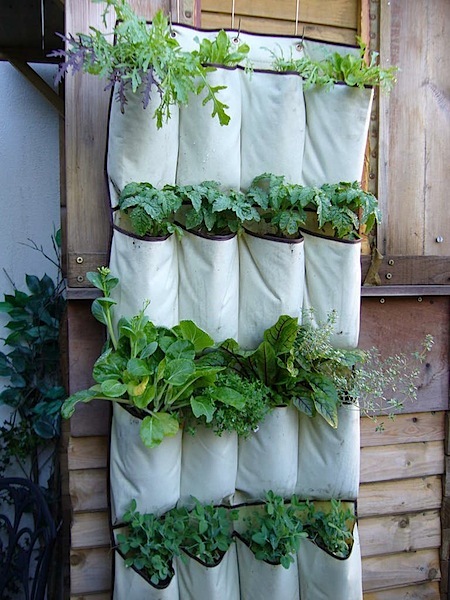 It is more economical to buy a large roll of reemay, so organize and share with your garden neighbors. Reemay can be stored and used year after year. Check it out! 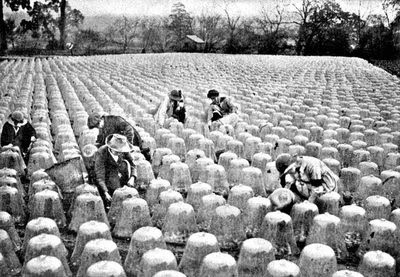 Gardeners have been covering their crops for a long time. In nineteenth century France gardeners used 'cloches' or bell jars to cover individual seedlings to protect from frost. 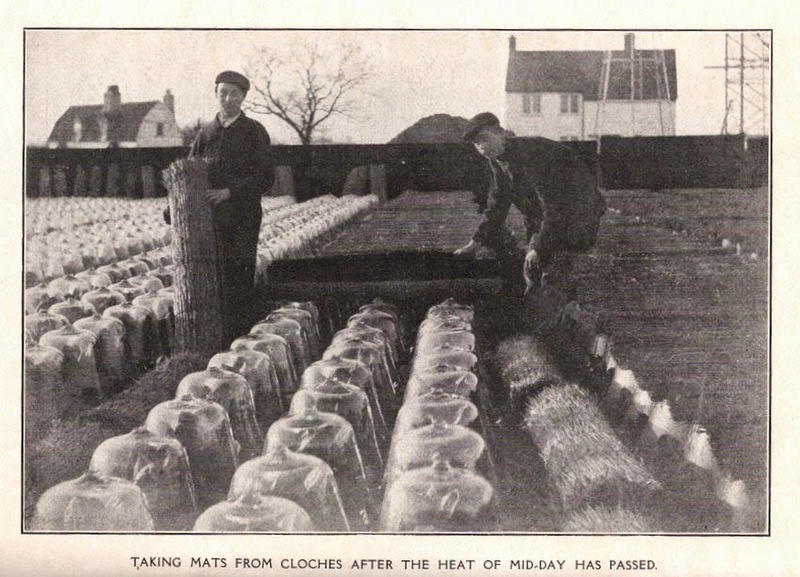 Each jar had to be propped up during the day to provide ventilation. Today, we are lucky to have technology like reemay material. 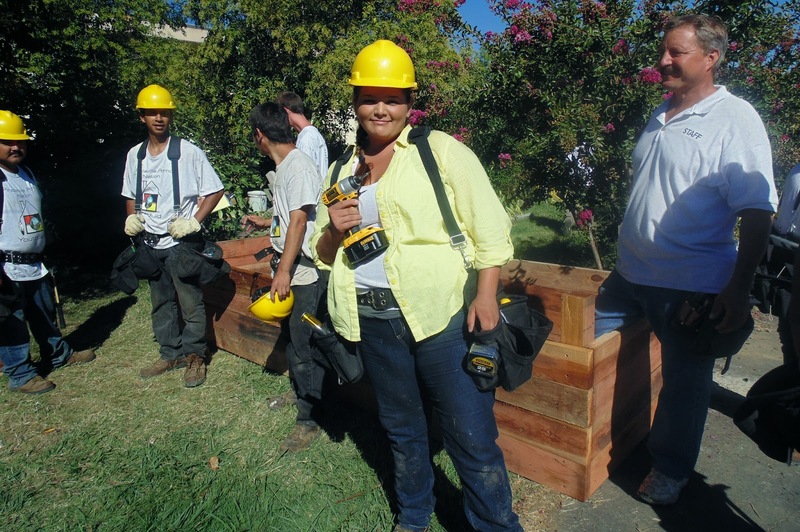 Interested in attending future Gardens Project workshops? Check out our events page. Cover Crops, cause you gotta plant something! Are you looking for a simple way to renew your soil this winter? Plant a cover crop! A cover crop will add nitrogen and organic matter to your soil while preventing erosion and weeds. Over the winter, instead of the rains washing away all of the hard work you've put into the soil, the cover crop roots will keep those nutrients and soil in your garden, and also help retain water. 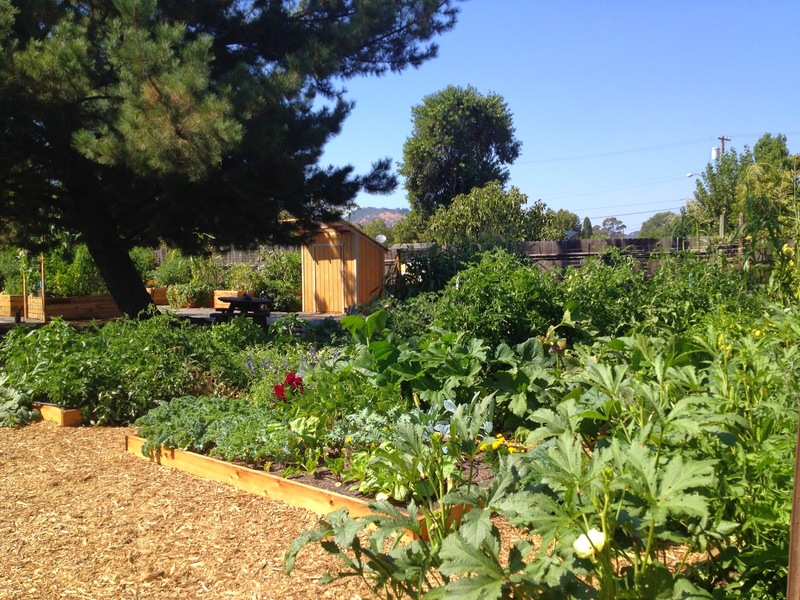 When Spring comes around, your garden will be ready for another bountiful growing season. 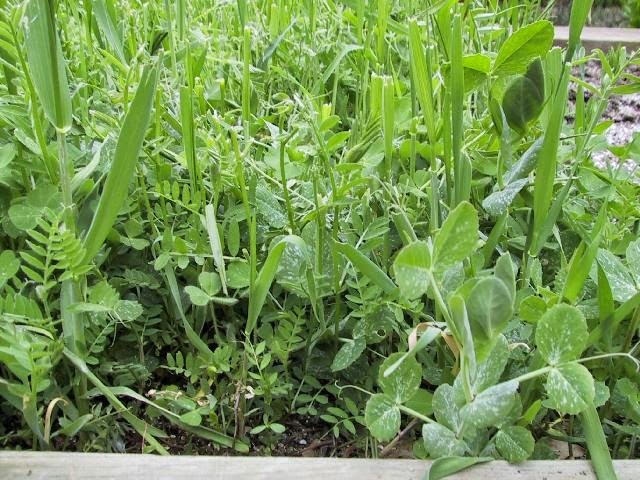 Some common cover crops include fava beans, vetch, oats, buckwheat, and ryegrass. 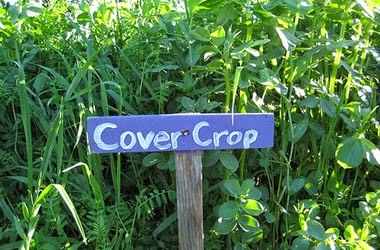 Cover cropping is super easy! Many garden supply stores sell a mix of cover crop seeds. All you do is broadcast (scatter/spread) the seed evenly over your garden bed, cover it with straw or a thin layer of soil (to keep birds out and moisture in), and let the rain work its magic. When the cover crop produces flowers just chop it up and turn it in to your soil. If you can’t chop up the cover crop before it goes to seed, make sure the seed gets incorporated into your soil as the seeds will now store most of the nitrogen. How does this work? Some cover crops are plants which add nitrogen to the soil by a process called nitrogen fixation. These plants have a symbiotic relationship with special bacteria that live in their root nodules and fix nitrogen from the air. These nitrogen fixing plants include fava beans, vetch, and clove among others. If you do plant a fall garden, don’t fret! You can still cover crop after your fall harvest. Buckwheat is an excellent cover crop which is not frost tolerant, so it works great as a mid-season option. 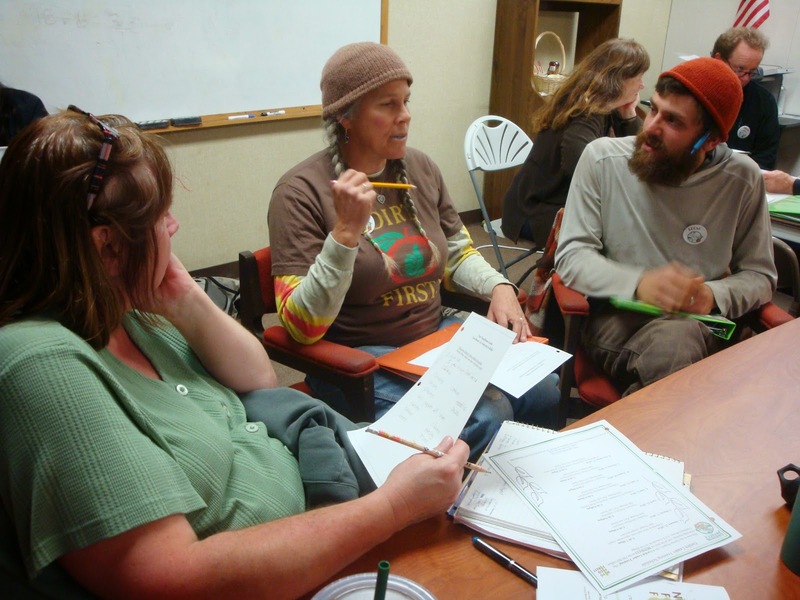 Looking to learn more about fall and winter gardening? 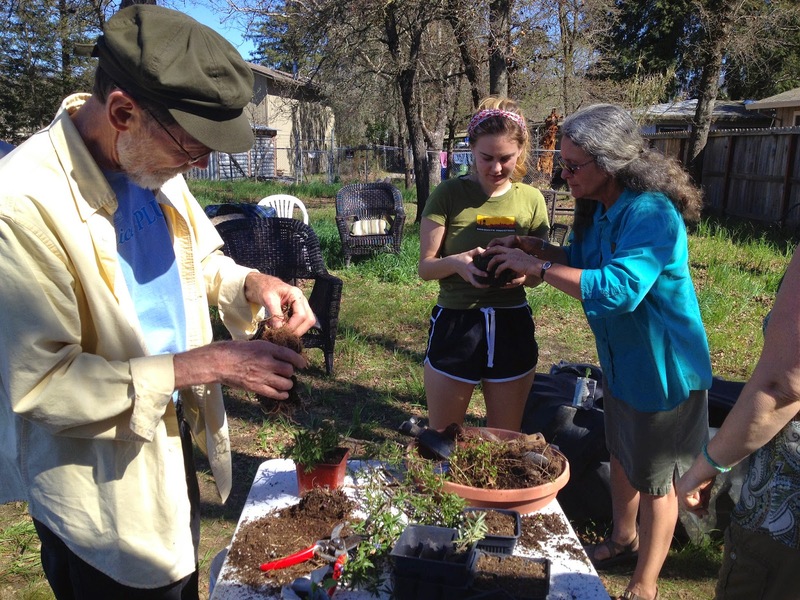 Come to one of our garden workshops! Winter Garden Tip: Have One! 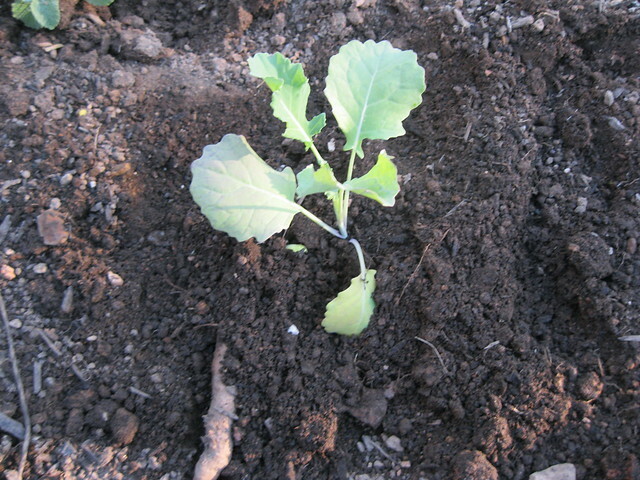 A Broccoli start, ready to go! Winter gardens often get the cold shoulder from tired gardeners with too many green tomatoes to count. But there are many wonderful, nutritious crops you can plant in the fall before the coldest months of December and January. Here’s a list of plants you can put in your garden right away. Mendocino Local Food has a great Planting Guide that you can use to determine whether to start your vegetables from seeds or starts. 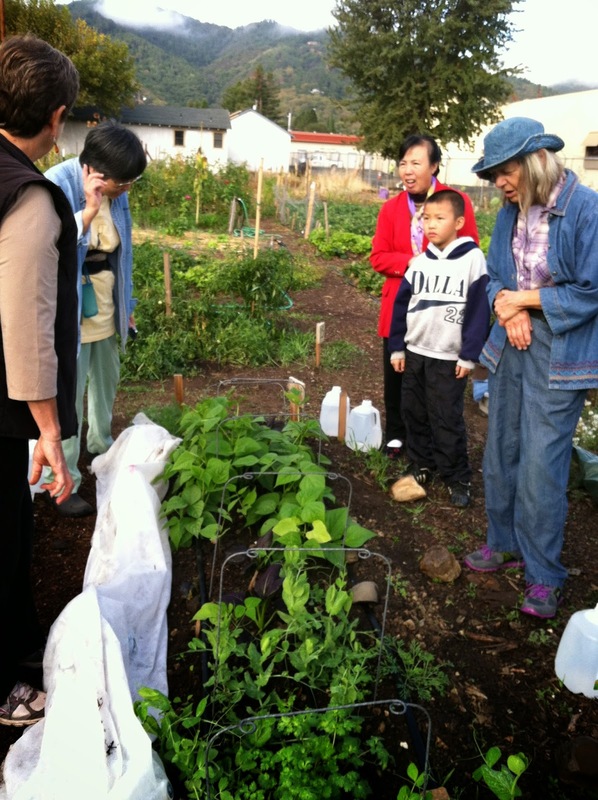 The Gardens Project also has resources online with vegetable gardening basics and tips. Be sure to either look at the information on planting from your seed packet or if you buy starts from the farmers market, ask the farmer! Growing will be slow during the coldest months of January and December, but as soon as it starts to warm up a little in February or March your garden will pick up speed. Want to know how to keep a happy compost pile this winter? 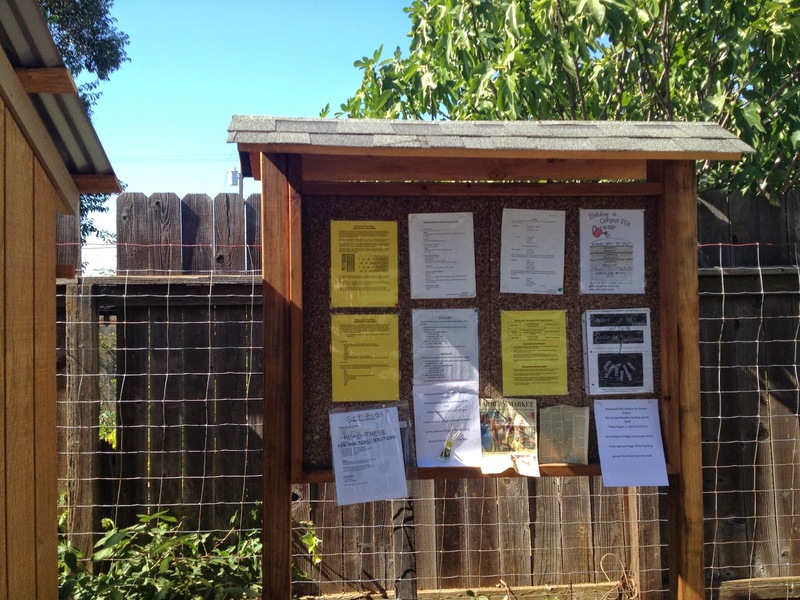 Check out this article from the Marin Master Gardener's web page for tips on sheet composting! Wintertime is a great time to start your plants indoors to extend your growing season and beat wintertime blues! Mother Earth News just published a great story on how to start seeds indoors, the link to the article is on our "How To: Grow Food" page. 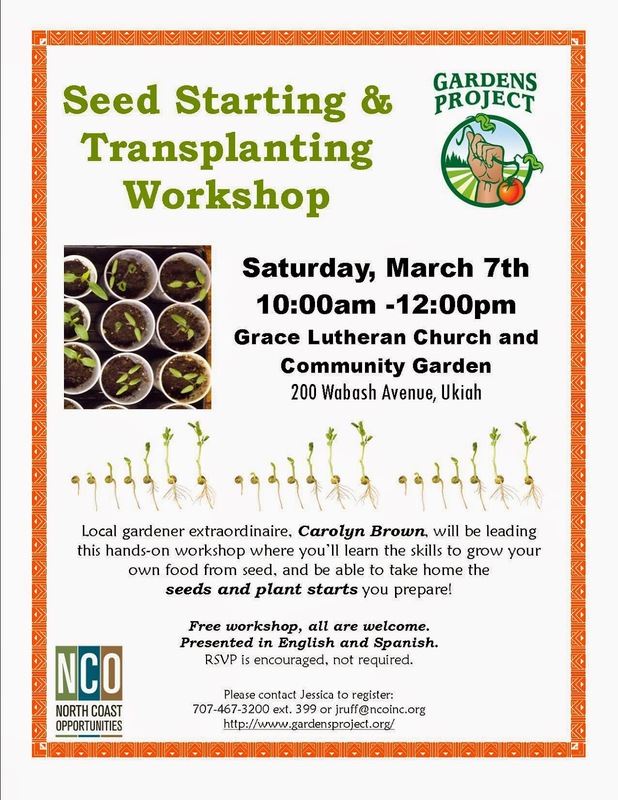 Check it out for more information on seed starting! Don't start beans, peas or root crops indoors, they don't transplant well. Use 1/3 coir 1/3 compost and 1/3 soil. Moisten the mix before sowing your seeds, plant 2-3 seeds per cell/pot. 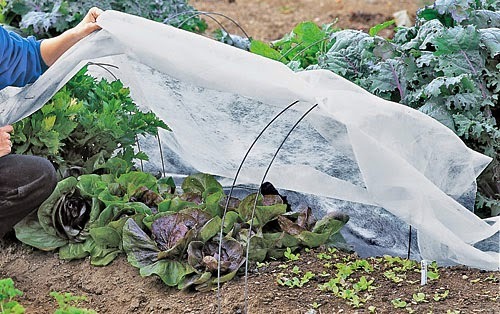 Cover with a plastic dome or plastic wrap until seeds sprout. After that, water only when soil is almost dry. 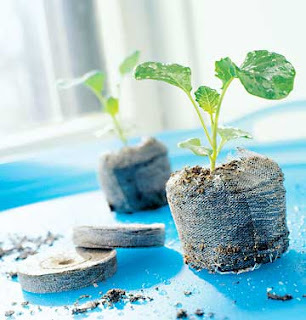 After 4-6 weeks, move them outside on a porch or protected area during the day, inside at night for one week, then transplant into your garden! You might think there's no gardening you can do in January, but think again! Now is the time to start your herbs and other plants inside for those of you who garden indoors or in a greenhouse. This site has plenty of useful information about container gardening. Remember, most potting mix is too strong for most plants and doesn't drain well. Start your seeds in a flat or 1-2" pots, then each time your plants start to outgrow their containers, transplant them to a pot 2-4 time the original size. For example, if you start seeds in a flat, transplant the seedlings to a 2" pot, then transplant the established plant to a 1 gallon pot, and as it grows move up to a 5 gallon and then 15 gallon pot. Also, check out this site for tips about small container planting using a vertical shoe rack! If you think you don't have enough time or space for vegetable gardening indoors, try an herb garden! This site has information about starting a basic beginner's herb garden. Just use the container gardening information above for your herb garden. This site has information specifically about growing herbs indoors. Remember to check our "How To" page for more gardening tips! Here at the Gardens Project we LOVE winter gardening and think it should get just as much attention as summer gardening does. Winter gardening is the time for vegetables that make great soups for rainy and chilly days. Beets, broccoli, chard, kale, collards, herbs, leeks, onions, garlic, peas, salad greens, turnips, radishes, olives, persimmons, pineapple guavas and mushrooms are all ready to harvest. 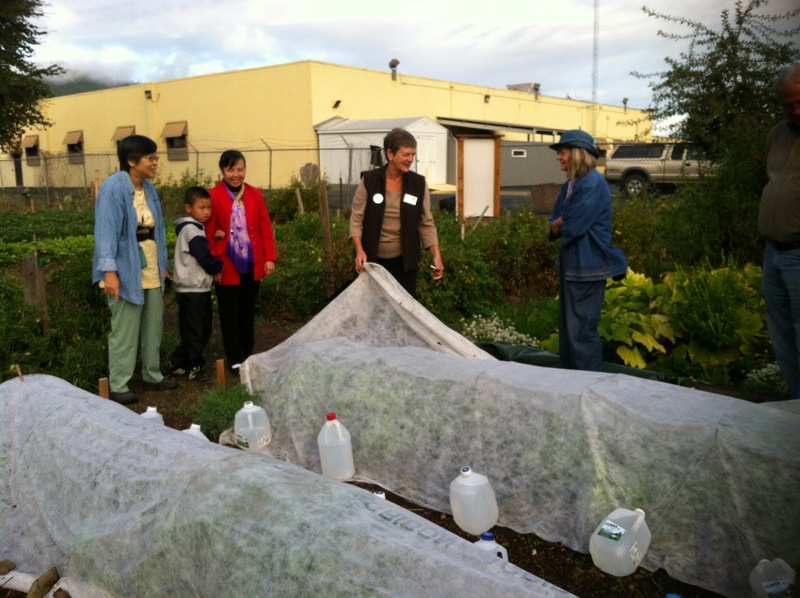 December is also a great time to make use of hoop houses to extend your season, build a greenhouse or toolshed, spruce up your garden paths, or work on your garden plans for next year. It's also time to direct seed your fava beans, bell beans, vetch and peas; and when it rains, you can plant barley, rye, oats and wheat. You can also sow flats of lettuce to transplant and plant cover crops to nourish your soil for your spring garden. Michelle Obama is busy getting the White House Kitchen Garden ready for winter too! Check out their website, complete with recipes to help your garden sustain you throughout the winter.